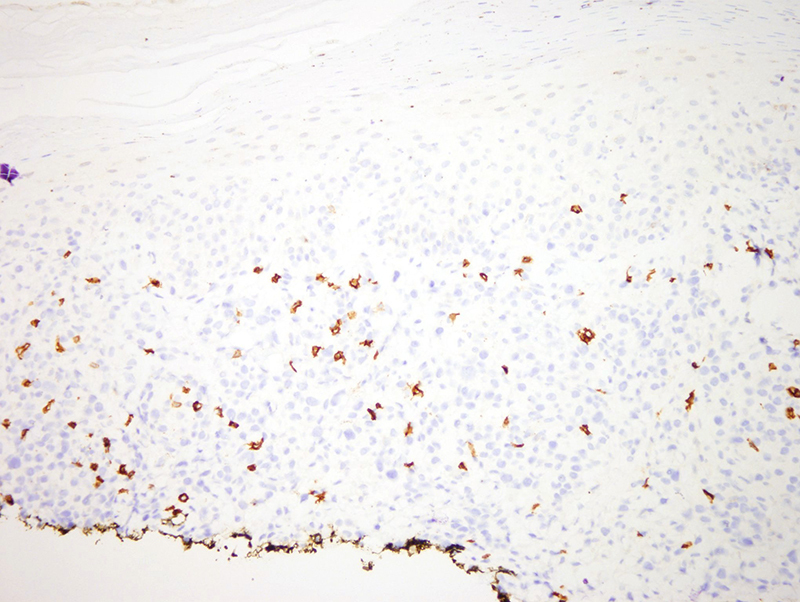 Based on the discrete nature of the lesion and its size this highly atypical process certainly falls under the rubric of CD30 positive lymphoproliferative disorder whereby the two considerations would be anaplastic large cell lymphoma versus type C borderline lymphomatoid papulosis. In this particular case the size of the lesion appears to be probably less than 3 cm. 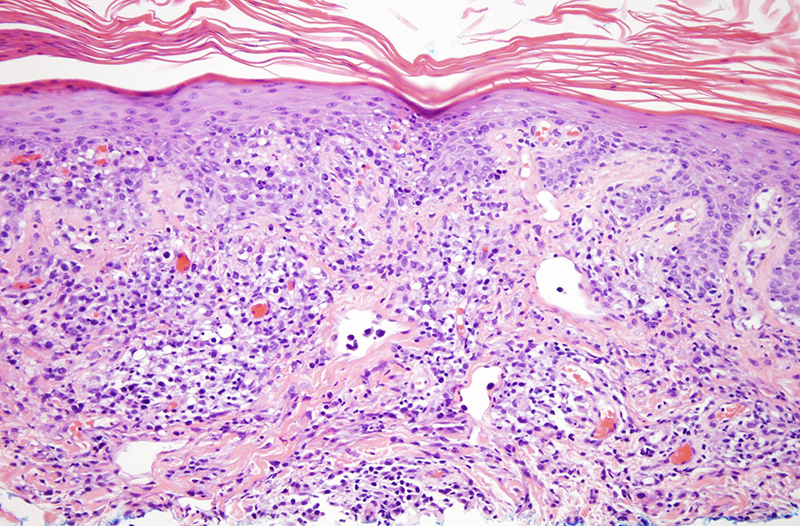 Given the size and the fact that much of the infiltrate is truly angiocentric without dermal effacement I certainly think it is possible that this lesion may be a spontaneously regressing process of CD30 positive lymphoproliferative disease consistent with lymphomatoid papulosis. 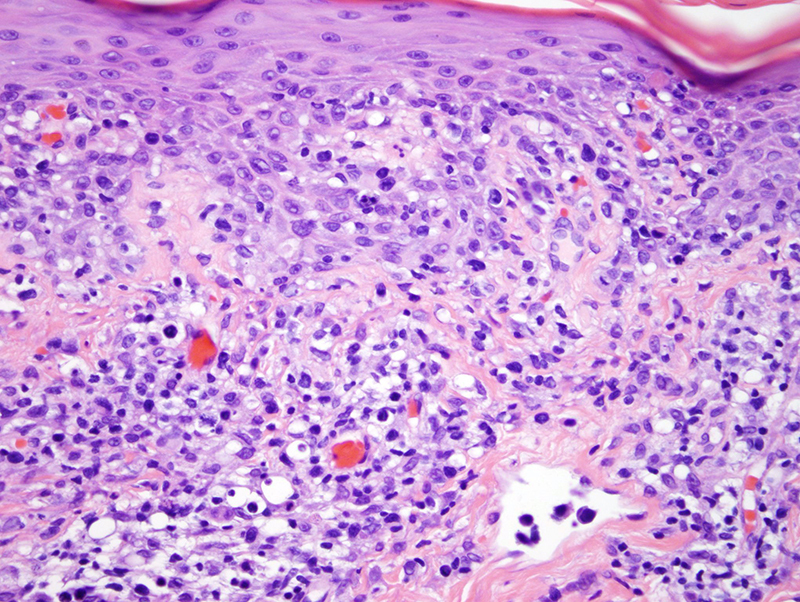 The severe atypia with predominance of large atypical cells with areas of tumefactive growth would, of course, place this lesion into the borderline type C category. That being said, given the intravascular component (i.e. 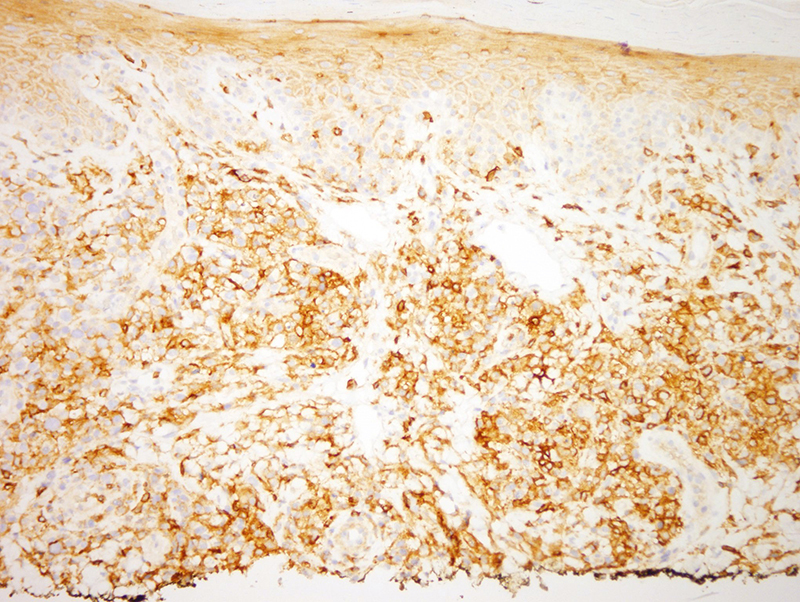 intravascular CD30 positive lymphoproliferative disease) one must certainly be cognizant of anaplastic large cell lymphoma since this intravascular aspect is a finding that is more commonly seen in true anaplastic large cell lymphoma. 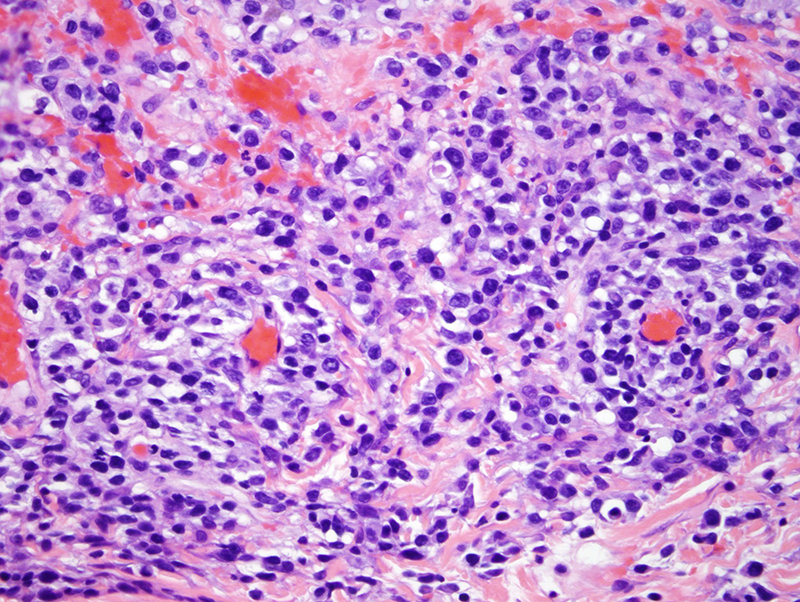 If we are dealing with anaplastic large cell lymphoma the lesion would likely be persistent and possibly even progressive in size.